Dry ice is used across many industries as a way to increase sanitation without increasing toxicity in the air like other cleaning methods. There are many uses of dry ice. 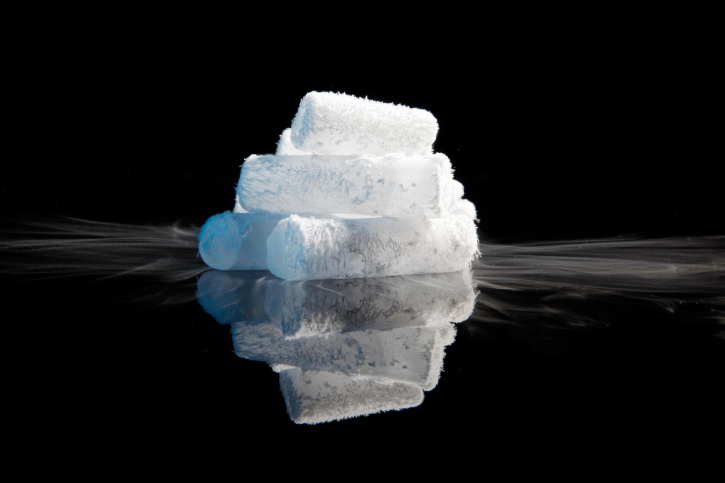 Whether used for health, cleaning, or recreational activities, dry ice is a useful resource for many tasks, especially during hot summer months. Some of these uses include camping, keeping your perishables frozen in the event of a power outage, and for theatrical special effects for Halloween parties and other occasions. Did you know that dry ice is also a great product for cleaning? It is used across many industries as a way to increase sanitation without increasing toxicity in the air like other cleaning methods. Here are some reasons why dry ice is one of the most sustainable ways to clean. Dry ice blasting is the sustainable answer to your goal of maintaining environmentally-friendly cleaning habits. Cleaning products can contain many harmful ingredients and chemicals. They are not only harmful to the environment, but also to human health as well. Dry ice is a beneficial cleaning alternative because you are able to trade in those harmful chemicals while simultaneously enhancing sanitation and preventing cross-contamination. Dry ice is a non-toxic cleaning product. The Environmental Protection Agency, United States Department of Agriculture, and the U.S. Food and Drug Administration all approved dry ice for cleaning. It is also non-hazardous, and it also inhibits the growth of mold and bacteria. The process called dry ice blasting has been used for food processing equipment. Several facilities that are EPA, USDA, and FDA certified or inspected use dry ice blasting. It is ideal for the environment and the health of people around the cleaning because it does not release any harmful gases into the air, nor does it generate any secondary waste. When the dry ice particles impact a surface, they quickly dissipate into the atmosphere. Another great factor to consider is the way dry ice is produced. Because it is a byproduct of other industrial processes, it doesn’t produce any CO2 or add any CO2 into the atmosphere, which would contribute to the greenhouse effect. This entry was posted on Thursday, June 14th, 2018	at 3:20 PM	and is filed under Many Uses of Dry Ice	. You can follow any responses to this entry through the RSS 2.0	feed. Both comments and pings are currently closed.